The dream of a community pier along the City of Dayton's riverfront inched closer to reality in recent weeks. We can now see what the ambitious project could look like. KZF, an architecture and engineering design firm in Cincinnati, revealed the design plans for the pier and Riverwalk that would be part of the Dayton connection to the Riverfront Commons project, a trail along the Ohio River that would connect Ludlow, Covington, Newport, Bellevue, Dayton, and Ft. Thomas. Eric Anderson of KZF presented renderings of the riverfront walkway and answered questions about the plans during a recent public meeting in Dayton. Catherine Hicks was one of the original driving forces to bring the pier idea to life. She expressed her excitement about the progress in an interview with The River City News. "A year ago we had that first meeting with (KZF) so it was kind of a long time coming," Hicks said. "I think people were happy to finally see something. It was really encouraging. It looked like a lot of effort had been spent." 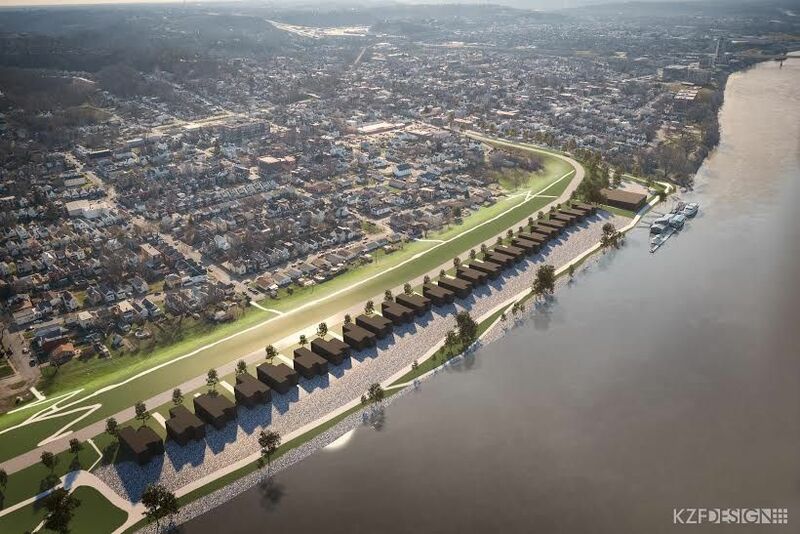 Dayton’s unique riverfront design plans incorporate the entire riverfront shoreline from the Bellevue-Dayton border at O’Fallon Avenue east to the Route 8 entrance of the Ohio River floodwall. 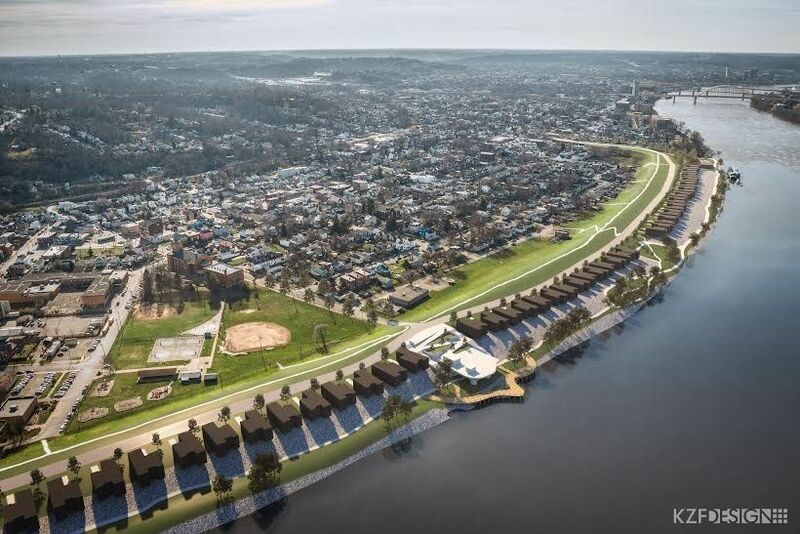 The riverfront will include a winding walking trail, two separate piers that hug the shoreline, as well as handicap ramps that access the walkways and piers. The design plans also included restrooms, parking lots, buildings designated for vendors and stages designated for entertainment. Jack Moreland wrote the federal grant for which Dayton was awarded more than $500,000 in October for the riverfront walkway. The price for the entire project is an estimated $24 million. Following city approval, the detailed plans will then be submitted to the U.S. Army Corps of Engineers. Depending on the speed of approvals and funding, the entire process could take up to 10 to 15 years to complete. "To see it come to life and to see people in the room in a position to make it happen, there were people there that were pretty optimistic that this is a great selling point," Hicks said. "With these renderings and cost estimates, this is a terrific opportunity to go after grant money."